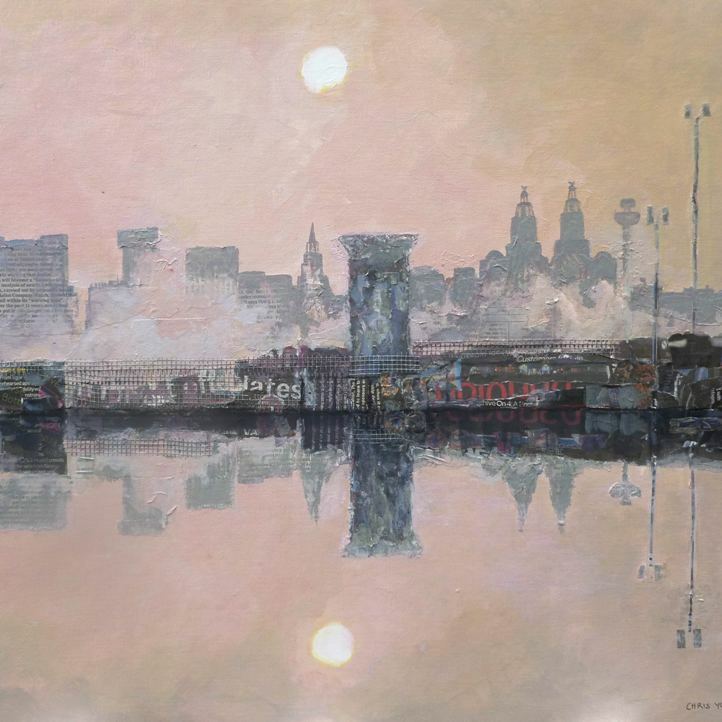 Chrissie Youngman studied at the Laird School of Art in Birkenhead, and has exhibited Children’s Posters, Murals, and Wildlife using oils, gouache and acrylic; and working with textiles for Ecclesiastical Banners at National Knitting and Stitching Shows. She has also hosted radio programmes as a platform for other artists talking about developing their ideas. Present work mainly consists of Impressionistic Landscapes with naturalistic and imaginative components in mixed media. She explores the energy and structure, using a distressing process with collage and various painting techniques to convey the essence and character of the subject.